April is here with its promise of Spring, but this has also become a time that can cause a great deal of pain for many autistic people and parents of autistic children. Why? Because tomorrow (April 2nd) is Autism Awareness Day, and in many cases, the awareness focus is on alarmist rhetoric about epidemics and despair — and on finding a cure at any cost (and framing autism as a tragedy) instead of focusing on the intrinsic value of autistic human beings. I’ve been thinking a great deal about autistic people since I worked with a group of autistic youth in 2006, and I find that the ways their lives are framed, the disease model they are branded with, and the constant depictions of them as unempathic and mind-blind has led to an astonishing and literally life-endangering level of dehumanization (last month’s murder of George Hodgins and the truly horrendous media coverage of his death is just one example). But an equally astonishing (and wonderful) response from within the Autism community is an amazing, tumultuous, and heartening civil rights struggle, where people who have been branded as broken, unempathic, and not fully human are standing up to assert their humanity and claim their human rights. But more than that, I’m seeing autistic youth and adults reaching out to offer mentoring and support for autistic children who are growing up in a world that is neither prepared for them nor accepting of their differences and their needs. This. Is. Awesome. 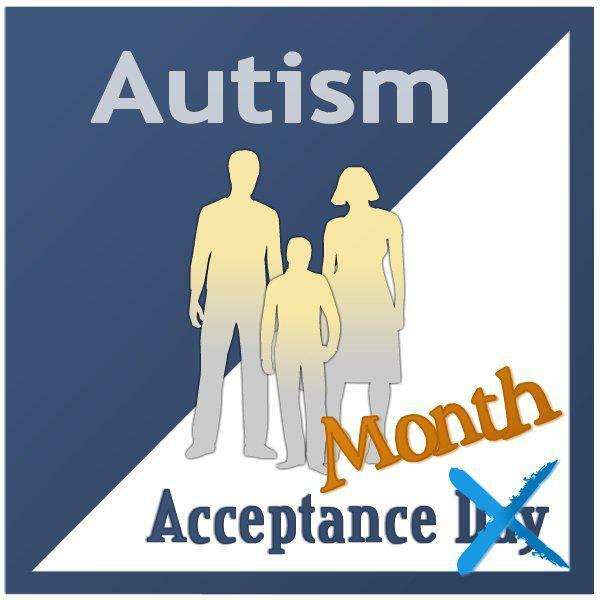 In support of the civil rights and human rights of my autistic friends, I’ll be using Twitter, Facebook, and this site to support the autism-positive movement called Autism Acceptance Month. In honor of Autism Acceptance Month, I’m reprinting and updating my two-part essay, which was written last year for the Rachel Cohen-Rottenberg’s groundbreaking site, Autism and Empathy. If you or anyone you know is autistic, bookmark Rachel’s site now! I’ve worked with and tutored physically disabled and learning disabled people for most of my life, but I had almost no experience with people who had autism or Asperger’s Syndrome. I knew a little bit (Rainman, sigh), but not enough to be able to truly help. So I got every book on autism and Asperger’s at the public library and every book at the community college library, and I started from the ground up. Though autism and Asperger’s (and PDD-NOS) are presented as very different (though related) conditions, they are often mixed-and-matched by doctors, disability counselors, and schools, which is why I began to use the term Autism Spectrum (and usually just Spectrum) instead of focusing on the subtypes. You can miss a great deal of crucial information about individuals if you focus on a diagnosis that currently exists in a political battle zone. 2012 update: I now use the term autistic and autistic person, in deference to the civil rights workers within the Autism community who do not want to be called “a person with autism” or a “person who has autism” (and definitely not a “person who suffers from autism,” gah! ), because it treats autism as a disease and suggests that autism could be separated or subtracted from them. Instead, they prefer the neurodiversity-positive autistic or autistic person. I learned a great deal on paper about Autism Spectrum conditions, but what jumped out most significantly for me was the repeated assertion that autistics are not socially adept because they are “mind-blind” and therefore unempathic. This hypothesis is championed by British psychopathology professor and researcher Simon Baron-Cohen, who theorizes that Spectrum conditions involve a lack of function in the mirror neurons that allegedly help us empathize with each other. Hmmmm. As an empath — or a person who is aware that they read emotions, nuance, subtext, undercurrent, social space, relational behaviors, and gestural language to a greater degree than is deemed normal — I was a little bit unnerved. I wondered: Will I be meeting people who are my diametric opposites? Will I disturb or unsettle them with my overabundance of empathy? Will they feel unsafe and alien around me — or will I feel that way around them? How should I behave? Can I do this job? 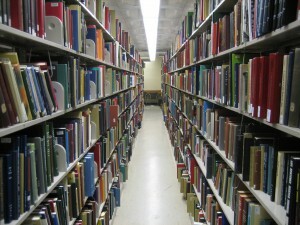 As it usually happens with marginalized populations, the information I received from the academic and counseling-based books only gave me a small piece of the whole story. Those books were merely describing autistic people from the outside, so I went back and got books by autistics themselves (such as Donna Williams, Kamran Nazeer, Temple Grandin, and Sean Barron). These stunning autobiographies helped me understand more about how painful and confusing it had been for these people to grow up in what is called the neurotypical world. In order to avoid labeling autistic people as damaged or abnormal, the word neurotypical was coined in the autism community to refer to people who were once called normal. (An aside: My father says that Normal people are the ones you don’t know very well yet.) The word neurotypical performs a kind of protective function that — in theory — neutralizes harmful language and treatment that might otherwise be directed at autistics. I knew from my early reading that autistic people were allegedly mind-blind — that they didn’t have a functioning idea of the “otherness” of people, which meant that they thought everyone knew what they knew, liked what they liked, and thought how they thought. This mind-blindness, so the story goes, meant that autistic people were unempathic, since the current and very simplistic definition of empathy is the capacity to feel (not think, not surmise, not guess, but feel) what another person might be feeling (if you’re interested in a more nuanced approach to empathy, primatologist Frans de Waal has a much better and more useful nested definition). The following are normal everyday behaviors among neurotypicals: lying about their feelings; avoiding sensitive subjects that are glaringly obvious; leaving important words unsaid; pretending to like things they don’t like; pretending they’re not feeling an emotion that they’re clearly feeling; using language to hide, obscure, and skirt crucial issues; attacking people who frighten them without ever realizing they’re full of fear; stopping all forward progress on a project without ever realizing they’re full of anger and grief; and claiming that they are being rational when huge steamy clouds of emotion are pouring out of them. Neurotypicals are often emotionally exhausting. But even amidst all of this static and confusion, many of my autistic friends were achingly, scathingly aware of the social world around them. I mean hilariously, dead-on aware, if you would only listen to them. In fact, they were as uncommonly aware of the social world as some of my wildly empathic friends were. What I saw in these people was not a lack of empathy, but a difficulty in dealing with an often-overwhelming sensory onslaught, from the outside world, from their struggle to decipher neurotypical social absurdities, and from inside their own brains. My autistic friends were incredibly sensitive to sounds (especially very quiet sounds that many neurotypicals can ignore), colors, patterns, vibrations, scents, the wind, movement (their own and that of the people around them), the feeling of their clothing, the sound of their own hair and their breathing, food, touch, numbers, animals, social space, social behavior, electronics, the movement of traffic, the movement of trees and birds, ideas, music, juxtapositions between voice and body movements, the bizarre, emotion-masking signaling neurotypicals call “normal behavior” … many of my friends were struggling to stand upright in turbulent and unmanageable currents of incoming stimuli that could not be stopped, bargained with, ignored, moderated, or organized. In short, my autistic friends were overwhelmingly, intensely, unremittingly, outrageously empathic — not merely in relation to emotions and social cues, but to every possible aspect of their environment. The lack of awareness neurotypicals have — their unwitting acceptance of their world “the way it is,” without concern for the needs of others — is called privilege in sociology. For example, a young white man who lives in Northern California in 2011 and states that racism is no longer a problem is speaking from the ignorance of racial privilege. He may not be cruel or inherently racist himself, but from his social location, he cannot see or experience any direct racism; therefore, he mistakenly infers that racism doesn’t exist. Privilege is a form of mind-blindness that is, sadly, absolutely common in neurotypicals. Neurotypical privilege relies upon the same unaware and insufficient reasoning as racial privilege does: So if I don’t experience the sound of the dryer next door as being extremely loud, then it shouldn’t bother you, and you certainly shouldn’t start rocking, flapping your hands, hitting yourself, or pulling out strands of your hair in order to deal with the aural overload. Or, if you know two people who have been fighting for months on end, and you clearly understand all of the issues that they’ve been ignoring, then you should never, ever speak aloud about it, because that’s not how we do things! It’s rude! Wake up and act like a neurotypical! Furthermore, this idea about mirror neurons being healthy in neurotypicals and unhealthy or deficient in autistic people … it’s only a hypothesis; it’s not a fact. Mirror neurons are not fully understood yet, and it’s not clear whether the original findings in primate studies actually translate into human neurology. This 2008 paper points out eight problems in the mirror neuron hypothesis, and researchers are working to get to the bottom of the real story. In 2010, neuroscientist Ilan Dinstein and colleagues performed an fMRI brainscan study on 13 autistic adults and 10 neurotypical adults to test whether the mirror neurons of autistic people are deficient, but he didn’t find any evidence that they were. The mirror neurons in the autistic adults were normal. You can see a video about the study here. Here’s something that might help. This video is an awesome invitation into the inner life of a non-verbal autistic woman named Amanda Baggs (she posts on YouTube as silentmiaow). Her website is here. In the first part of the video, Amanda shows you her non-verbal language and the way she interacts with her environment. In the second part, Amanda uses a program that interprets her typing into speech so that she can explain her native language to neurotypicals. Great resources and wonderfully written. Thanks so much! Thank you for this post. I will be bookmarking it for future reference. Wonderful post! Thank you so very much. I hope many people read it and have a better understanding. We need acceptance and understanding. The YouTube video of Amanda is one my absolute favorites. In my post today I talk about NTs judging an Autistic’s happiness by their standards. So neurotypical of them. I’m glad you’re here! I’m bopping around and finding great pieces throughout the blogosphere today. Oh, here’s a beautiful post about communication and empathy by Amanda Baggs, who’s in the video above. Awesome! Hi Karla – having worked with several age ranges of people of “hidden challenges” primarily with Asperger’s, I applaud you for your work with educating the neuro-typical world on this topic. I left “in-the-trenches” advocacy to work as a non-typical advocate as it feels more highly valued as my purpose. That said; in your brilliant way that only you can do, as a mom of a myth busting son with AS, not as an advocate I send gracious thanks and cheers your way! Thank you Mo! In-the-trenches is right! Wow, the multiple conflicts and confusions surrounding autistic people is intense. Thanks for the work you do as a non-typical advocate! Dear Karla, thank you so much for your post. As a “hyper-sensitive intuitive” (or empath) and budding (amateur) music therapist with aspirations of working autistic persons, the elderly and the the general public, I foresee some wonderful applications for the info you present here. In fact, I have also wondered if people with autism, ADHD/ADD and perhaps OCD weren’t also “sensitized” individuals responding to environmental stimuli. I’m hoping to provide some rhythmic and improv movement therapies, as well, although my training has been mostly in meditation and rhythmic breathing, yoga and martial arts. Thanks again for your informative blog. I hope to check your future posts. Please feel free to email with any suggestions you have about the work I mention above. In terms of being supportive, watch out for organizations that present autism as a tragedy, or an epidemic, or something that “steals children.” Those organizations tend to support therapies that treat the autistic person as less than human, and they’re not okay!